The 10 Best Festivals in New York! Festivals bring together an assortment of life’s greatest things: Getting outside, enjoying great food, drinks, and music, all in the company of your friends and family. 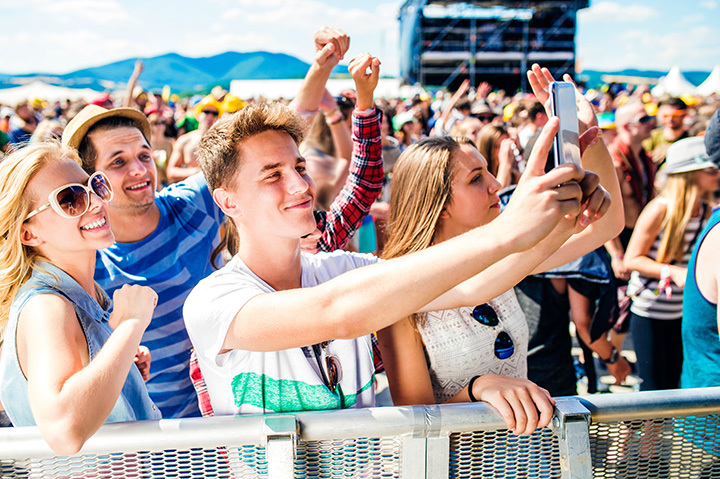 In New York State, we’ve got a variety of big-name festivals for just about everyone to enjoy. From musical fests to agricultural experiences, New York’s festival landscape is quite diverse. Here are our 10 favorites. Started by Robert DeNiro, Jane Rosenthal, and Craig Hatkoff in 2002, the Tribeca Film Festival aims to draw attention to New York City’s flourishing film community. The event receives thousands of submissions, and its screenings draw high-profile celebrities every year. Hunter Mountain hosts the Mountain Jam music festival every year on the weekend after Memorial Day. The event features three stages, and tent and RV camping areas. The festival draw big-name talent like The Black Keys and The Allman Brothers, along with smaller, up-and-coming bands. One of New York City’s most popular music festivals, Gov Ball takes place on Randall’s Island, drawing top-name musical acts ranging from pop and electronica to hip hop. The event has plenty to do, including photo booths, craft tables, and funky art installations. Four stages are set up on Randall’s Island each Labor Day Weekend to host Electronic Zoo, a New York city festival devoted to showcasing all electronic acts, from the international to the up-and-coming. Past headliners have included Deadmau5, Armin Van Buren, and The Chainsmokers. The largest balloon event on the East Coast, the Adirondack Balloon Festival is free to the public and run by a non-for-profit organization. The four-day festival draws around 150,000 each fall to witness the spectacular sites and activities surrounding the event. The oldest state fair in the U.S., this 12-day festival takes place around Syracuse and is New York State’s largest event, drawing almost a million visitors. The Great New York State Fair is a showcase of the state’s agriculture, technology, and entertainment, with traditional fair delights alongside educational opportunities. The largest environmental festival in the United States, Clearwater offers seven stages and plenty of music, food, and fun along the Hudson River. Visitors enjoy performances on seven sustainably powered stages, and all proceeds go to the non-profit Hudson River Sloop Clearwater, Inc., which aims to preserve the natural Environment of the Hudson. This three-day celebration of country music and camping takes place at Hunter Mountain every year. The festival draws famous country musicians like Miranda Lambert and Kenny Chesney who play for a fun-loving, energetic crowd. Every year, New York City’s LGBT Pride festival centers on the famous parade celebrating and promoting the gay rights movement and commemorating the Stonewall Riots of 1969. Celebrations surrounding the event include film screenings, rallies, club nights, and rooftop parties. The largest traveling punk-rock music festival stops on Long Island every summer. The festival takes place at Jones Beach, and features headliners like Good Charlotte and Dropkick Murphys. View more New York Festivals, Fairs and Parades.